﻿ AGL Polyfil Private Limited Manufacturer of Pet Flakes in Kolkata, India. AGL POLYFIL PRIVATE LIMITED ventured into recycling industry in the year 2009 and commenced commercial production in the year 2010 to produce Hot Washed Pet Flakes and Recycled Polyester Staple Fiber at Bangan, Howrah (W.B.) India, with an installed capacity of 26250 TPA and 14200 TPA respectively. 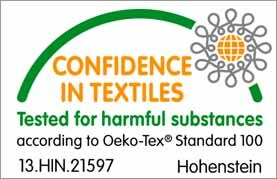 The Company is promoted by Two Agarwal families who have undertaken a new venture to enter into the techno-savvy fiber manufacturing & non-woven sector. The Company is promoted by Mr. Suresh Kumar Agarwal and Mr. Sunil Kumar Agarwal. They are veteran in their respective field of business enterprise, which extends over three decades. Mr. Sunil Kumar Agarwal is the person-in-charge of the family fiber and textile trading business and has the required industrial experience in running spinning mills. He is also running a trading business for RPSF, Cotton and other textile products in eastern India. Mr. Suresh Kumar Agarwal is a marketing man having deep understanding of domestic and international market covering white good products. His acumen in marketing is helping in establishing the product line of the venture. Mr. Saurabh Agarwal is a young graduate and he is the pioneer in the company's technological advancements and looks after the marketing sector of RPSF for Domestic & Export.